It’s also great because it gives you a better *overall* picture of your finances too, rather than just concentrating on cash flow which is only one side of the equation (albeit an important one). On the other hand, if you only focus on your net worth you miss out on a handful of great budgeting benefits as well! Not thinking you’re hot $hit when the market rises and your net worth doubles! So pros and cons with both, but an interesting thing to consider… Particularly for those who’ve failed at budgeting time and again and are looking for something to stick! And that’s not even incorporating the *emotional* wins that come with taking control of your finances either. Because while you’re technically only tracking your numbers once a month, it still very much seeps into your consciousness and affects your daily activities/spending for the better as well. There’s a reason we share our net worth here month after month after month – it does wonders!! For both your mind and your money! And is why you’re about to be hit with our latest net worth installment too in a few days, haha… #123 in a row, baby! Haven’t missed a month yet! I do think it could be a great alternative though if you’re currently stuck and feeling pretty bad about your budgeting fails. With net worth all you have to do is copy and paste over some numbers – and voila! In a perfect world, though, doing your net worth AND budgeting would be best, of course. 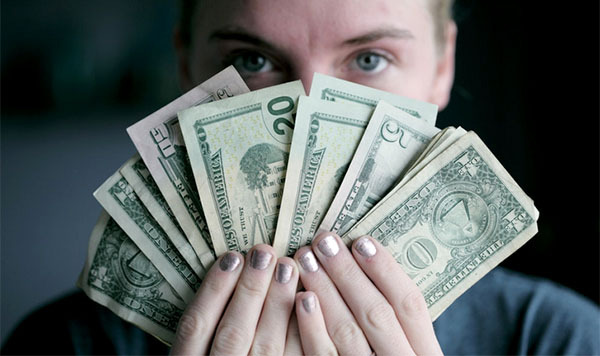 It gives you the ultimate superpower of seeing your money from all different angles instead of just one! Or even none! At the end of the day, it’s all about testing different things until you find the one that *clicks*. And when you finally do, you ROCK THE $HIT OUT OF IT AND NEVER LET GO!!! You ride that puppy straight into Financial Freedom and count your lucky stars along the way! PS: If you’re just starting out in your journey, I *highly* recommend budgeting and tracking every last penny that comes in and out of your life FIRST before skipping right to net worth tracking. It does wonders once you know yourself and your habits well, but until you can get to that point you need to understand where all your money is going and why. You have to start as Super Girl before you can grow into Super Woman! “…it still very much seeps into your consciousness and affects your daily activities/spending for the better as well.” That sums it up perfectly. Yes! It sets up good habits. Pretty soon it’s automatic. One good decision leads to another. I’m Wonder Girl!? (Ok, that’s weird). I’m a huge fan of net worth. We automate all of our savings (~40% savings rate) and simply spend what’s left. No need for a budget, and we just watch that net worth grow!! I like it, Wonder Girl! I’m the same way Fritz, Wonder Girls unite! At any rate, we try, and it’s kinda neat, but just one tool to measure. I really like how you’ve used to motivate and drive. Can’t argue with that at all my friend. Hey Cubert, I’m also a big fan of cash flow, savings rate, and net worth! The vusuals of these really keep me motivated. I have a spreadsheet that tracks all if these, you should check it out and let me know what you think! We kind of do both – we have an excel spreadsheet where we put in all our regular income and spendings that then get added or deducted to our net worth. Of course, the net worth fluctuates due to our investments going up and down, and we do not update that regularly but only once a year. I think seeing both your spendings and savings in one place is a great motivation. I like that idea to keep everything in one spot :) could even have “tabs” in the spreadsheet – one for net worth, one for budget, one for tracking retirement/financial freedom, etc.. I started one a few years back but could never seem to stay on top of it all.. Net worth is the only thing that’s become habit for me it seems? J Money, you should get back on that tracking train! I’ve been tediously tracking my spending with my custom spreadsheet! It’s worth it! My sheet has all the “tabs” you could ever need! If it weren’t for wrangling all my billions of kids these days I’d give it anther shot ;) But sadly my personal time is dwindling over the years, haha, so now it’s all about the quick and dirty for me! Not a big fan of networth personally. Too much you can’t control or influence in any way. Market goes down, bye bye networth even if you are still doing the right things. Goals need to be things you control. Well I WAS pro-net worth until I read your argument…! Those are pretty good points. I use to say savings rate but that’s just as bad because your income is highlighted much more than being good with your money. I keep track of our family finances in a spreadsheet, and I have tabs for budget, monthly expenses, and net worth. I recently began tracking our net worth both on my own and with the help of Personal Capital (seriously addicted to that site). Imagine my surprise when I realized we are in the 7 figure club! I find it incredibly motivating to track our net worth, and it inspires me to keep making extra payments on our house just so we can watch the expenses go down and the assets go up! :-) Another thought: I am the mother of two kiddos and I work outside the home. On days when I feel exhausted and overwhelmed, it feels good to peek at my spreadsheets and realize what I am contributing to the financial stability of my family, and the opportunities I am helping to make possible! GOOD FOR YOU!!!! That is incredible!!! I’m Wonder Woman!!!! … Maybe more like Captain Planet (with their powers combined). Captain Planet – I like that :) Especially if you’re mixing in minimalism and environmentalism (word?) in there too! We don’t track our net worth regularly since it stays the same pretty much every month. Our net worth consists of our house equity and retirement accounts. I’ve been using YNAB for 7 years and it’s awesome for budgeting/tracking and calculating net worth. My wife has a DB pension worth over $250k now and still has another 15 years to go… Always wondered if we should add this to my net worth calculations? For sure – YNAB is dope. I never consider myself Woman Woman, I’m more of a Spiderman or Batman type of guy. I like the combination of both, a little budgeting during the week to make sure you are on track and the monthly net-worth tracking to make sure the overall big picture money stuff is heading in the right direction too. Tracking net worth does not replace budgeting at all. I like to track my net worth once or twice a year. The biggest swings these days are out of my control. It’s nice to know where I stand but I don’t want to stress out regularly about market swings. Budgeting on the other hand is directly in my control. I need to control my spending to hit savings goals. Or earn more. I track against my budget monthly because tracking keeps me motivated towards achieving it! I’m all about keeping tabs on Net Worth. For me, it’s our Financial Report Card. For me, Cash Flow is another biggie. You can have a budget, but if you don’t have good positive cash flow then it’s not going to work. For me, all three are key elements to good financial health. True true… budgeting in itself doesn’t earn you any more money if that’s really what’s needed in your life. And there’s only so far you can cut expenses too to really move the needle! Ultimately NW is the only number that matters…but the problem is that its a by product of good choices for the most part. I agree with you that as long as your NW number is going up you are doing something right, even if you aren’t maximizing savings. I once either heard or read (I cant remember which) that all decisions should be made with only cash flow in mind. I guess that’s mostly true but you still need to have your eyes on the prize. Me personally I hate budgeting at a granular level, I just save first, pay bills that need to be paid and make sure we limit the maximum monthly credit card charges to a certain dollar amount. As long as we are within a number that works for us (without making us crazy) we are good. Well that and being very discerning and value oriented when making purchases. We have terrible months and really good months but it kind of averages out. I find it keeps me sane, tracking everything just didn’t work for me from a mental perspective. I felt like an adult that makes a good salary but still cant do anything because I needed every category to be perfect. It was horrible. Haha yeah – welcome to EVERYONE’S problem with budgeting! I salute those who can track it daily like crazy…. it’s not easy, but if you can pull it off you def. get rewarded over time. I’m more like you these days – as long as we’re doing well overall and trending up I’m okay with leaving some money on the table by not stressing myself out too much. It was severely needed when I first started tracking my money for a few years, but once I got my mind and values right it wasn’t as necessary anymore. Fully agree that it’s important to start and consistently track your spending. This process can help define your priorities if not align them first. I’ve been tracking net worth for twenty years and continue to do it at the end of every quarter. Sure when the market was ballooning, it was exciting to see it jump year after year. Well, the music stopped this quarter and the growth takes a slight hit, though the cash and bonds have smoothed the ride. I’m forecasting my March 31st snapshot to retreat back to the Sept. 30, 2017 snapshot. It will be the first dip since the kids college tuition withdraws. Like Fritz says, the savings rate is automatic which is one thing in our control by choice. It’s what one does over the long haul and net worth tracking paints a very motivating picture. I like both. Both is wonderful. The budget can be tweaked as necessary (don’t go out to eat this week, eat down the freezer instead of spending $30 at the grocery store, put off that home maintenance until next month) but seeing that net worth figure increase really does it for results-driven folk. As an aside, I owe you one. I stumbled across your Money-Snapshot spreadsheet a couple of years ago and have since been tweaking it to our situation — adding a tab for historical values and contributions (including a Lifetime Wealth Ratio calculator), throwing formulas around left and right, that sort of thing. Our net worth in May ’16 was $324,393… and today it’s $531,403. Thank you for making that tool available! It really got us pointed in the right direction! So glad it’s helping you and that you’re tweaking it for your own situation! Love that you threw the LWR in there, haha…. we’re such nerds. I personally like tracking NW more than budgeting. I hope ppl don’t get me wrong, budgeting is great (and works really well for most ppl). But, it felt like I was micromanaging every single day, or at least quite often. I really really like the whole idea of budgeting and always see a lot of pretty printout templates from these amazing bloggers, but I couldn’t stick to it 100%. I feel that NW does motivate me better. At the end, I guess I like the balance sheet method more — gives you big picture. But, I do understand when markets tank, I’m going with it and I’m ready and prepared for that.. yikes! Great write up. I love your “joker” line haha. P.S. when markets tank, I probably won’t feel like Wonder Woman haha. What I love about keeping track of our net worth (now in our 6th year!) is seeing how far we’ve come. I like to look at where we were in years past and realize that we were happy, healthy and felt we had enough back then, even when we made half of our current salary and our NW was negative, so what could I complain about now? It’s incredibly comforting and satisfying to have that information at hand. Calculating our net worth the first time really inspired us to make good financial decisions and I’ve been tracking it monthly ever since. The archiving definitely helps with perspective, I agree :) It would be cool if you got an alert every year showing you how far you’ve come! It’s so easy to forget with the hustle and life every day…. I like checking our net worth regularly on personalcapital.com. I also am slightly obsessed with our budgeting. However, we have slightly more aggressive budgeting goals than we should, so we rarely ever hit them each month. It’s great to pull up personal capital and look at our (historical/graphed) net worth grow at a good, steady rate even though sometimes it feels like we’re not doing enough based on our budgeting goals. Both are great tools that take you out of the dark on where you are, and where you are going, financially. Since we use the PouchPlan budget, we only spend 10-15 minutes each month on our budgeting. I quit tracking my net worth each month, because the changes were usually small and now i do it on a quarterly basis. An unexpected benefit is that I am a better, more patient and less worried investor. I use a second tab on my spreadsheet. This is an apples to oranges comparison, IMO. They serve different purposes. And, quite frankly, just tracking your net worth alone is likely a terrible idea. You should know :) You’re 100% VTSAX for your portfolio, right? (are you still? It’s been a while since I’ve paid attention). Market dips, you lose 25% of your net worth over the course of a year, and you think “Damn. I’m doing HORRIBLE with money”. But from a cash-flow perspective and everything you could be doing 100% the right things. TL,DR: There’s too much that’s out of your control for net worth to make it the only thing you look at. Budgets aren’t necessary but they tell you a very different thing than net worth does. Yup yup, pros and cons for sure, but so long as you’re *aware* you’re not doing horrible due to market fluctuations it still can serve as a good guide :) Your cash reserves and other areas would still be going up! I tracked my nw worth on a spreadsheet every month for a decade. I considered it more fun than useful. But I do like knowing, especially during a bull market. 2008 wasn’t so fun. As people are saying above, net worth can nit always be the best indicator. Especially at this time in the crypto currency bear run! Are we at the bottom yet? That’s why I track what I spend, monitor cash flow, and savings rate. I think tracking spending and net worth is pretty good. Budgeting is too tedious. Just looking at net worth isn’t enough because you don’t have a lot of control. It looks good when the stock market is doing well. You also need to track expense to see how you spend. I’m contrary – I don’t really budget, but I track my spending and network. I have an aspirational number to get my spending below, but I don’t sweat it. Nowadays I’ve got a hefty savings rate so can afford not to, and as I’ve always been kinda frugal it’s not really a big deal. I’d never have the desire to spend all the money in my bank, I’m just not wired that way. But I think networth tracking is critical if you plan to retire early on your investments. You need to understand how much you have, and how volatile your assets are. Income coming in every month, whether through dividends, interest payments or rental income is the real “net worth” in my opinion. I only recently started tracking net worth. I do it in addition to budgeting, though, since I’m still in debt. It’s nice to see it sloooooowly climb out of the red each month. I aspire to have a net worth of $0 one day! I’m a big fan of tracking net worth. I’ll admit it’s tough to do on the months’ that college tuition is due (3 of our 5 children are in college currently). We’ve cash flowed all college tuition bills so we and our children aren’t burdened by student loan debts. The only budgets I track and make myself accountable for are things like groceries, as it’s usually one of the few categories you can allow restraint and see an almost immediate financial benefit. Jennifer, we did the same thing! Cash flowed 5 kids through college with no debt. We pretty much kept housing expense at less than 10% of income and watched our descrestionary spending very closely and often. Last one graduated 10 years ago, but those were some great years. Thank you for mentioning the podcast. It was a pleasure to chat with you. I don’t budget. For years, I have been making more than what I spend, so I don’t feel like I need to be on top of every line item. HOWEVER, I do my net worth the first of every month, and I add a few hundred dollars to my investment account every month. It’s so nice to see that now, my investment account earns more money than me. It’s like having a new family member who contributes towards the rent but who consumes nothing and takes no space. For the sake of my marriage I had to switch to tracking net worth and abandon a budget. As a single I did both but husband was having none of it. He is not a saver nor as disciplined with money as I am and he doesn’t want to answer to or justify his minor spending habits. For the sake of peace and harmony, he needs to buy a pack of gum, a tool from Lowes, or a new pair of sneakers etc. without a discussion, permission, writing it down, pair back on something else to purchase a new shirt or analyzing the price paid etc etc . I relented and said fair enough as long as our net worth is growing by at least x amount of dollars each month. It works for us and in the end just like Suze Ormon says, its people first. My marriage is way more important. I compromise by giving up my compulsive tracking and he compromises by saving a certain amount each month. I have never thought of it this way before, but now that you mention it, the similarities are almost obvious. Keeping track of your net worth definitely makes you think about how you spend money, and where you are at financially compared to last month/last year, etc. We had never been great at budgeting; always seemed like we were going over in one or another category. Then after starting to track net worth, I got interested in how to optimize our spending further. This took me back to the budget and expense tracking, and that’s where I think the real value came. I could see that, OVER TIME, I was consistently spending X% on such and such, and then I either tried to eliminate or permanently reduce. Fussing about going over or under a few dollars (or even hundred) was such a waste of time; I was missing the forest for the trees. Much happier now (and lower expenses). Good! Glad you figured it out! The net worth shows your wins and losses – the budget is your individual gameplan… one game at a time. Net worth tracking is new to us and as I just started, I was surprised by what I saw. The picture is a lot different with all of the information. Thanks for writing, I’m still loving this concept! I’ve always tracked both. I keep a budget and track my net worth. Kinda like a balance sheet and income statement in a business. 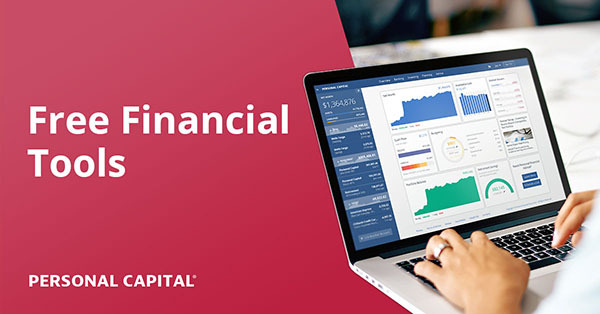 Personal Capital makes it easy to do both in one app! My budget tracker of choice (YNAB) does both. TBH, I don’t take much notice of my Net Worth number. I don’t know why… I guess I think of my house more as a home than an asset. I tend to be more interested in my little online investment portfolio. But after reading this weeks blog I went and ran the report and see that my Net Worth had been slowly and steadily going up and all of a sudden I feel like Wonder Woman too!